Some images from a walk on Mt. Humphreys last spring. We've not had enough precipitation to feed them. A very pretty thang, Elizabeth. Elizabeth Croston Buckalew: Isn't it, Ray! They are very dainty, pretty , little thangs! Elizabeth Croston Buckalew: Me too, Larry. We hiked yesterday - and I saw one. Very sad. Très joli, dommage qu'il n'y en ai pas cette année. Elizabeth Croston Buckalew: Thank you very much, Lisl! Oh - I look forward to seeing your Italian flowers! 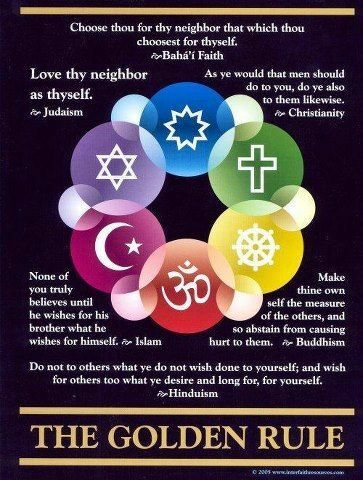 That's gorgeous, Elizabeth...and I really like that you included The Golden Rule in the different faiths of the world. This is very delicate. Elizabeth. I love the soft feeling here. Love the Hinduism quote. ... and it will be awful. Global warming is wreaking havoc on our little corner of the world. Sometimes the more delicate they appear the tougher they are. Elizabeth Croston Buckalew: That can certainly be true... I hope so! So very delicate and so well photographed. Elizabeth Croston Buckalew: Thank you very much, Alan! I do hope you are right... and the forecaster as well! Delicate flower and in memoriam, if its offspring don't show this year. What a lovely flower, our (Maureen's) garden is suddenly springing to life over the last few days, time to get the camera out. The poster is very good, I would love to show it at church but being a Baptist one I think some of them might not appreciate it. Elizabeth Croston Buckalew: Isn't it! I'd love your (Maureen's) garden, I know! I do like that. To me, the poster is evidence of one God, and a like goal in following him. I like the delicate beauty of this image. Lovely shot, Elizabeth - nice bokeh. What a sweet little bloom. The purple and yellow are perfect together. A beautiful shot, Elizabeth, and a fine sentiment. lovely play with the dof in this image of great elegance, Elizabeth. Elizabeth Croston Buckalew: Thank you, so kindly, Ayush! Elizabeth Croston Buckalew: Perfect, Claudio!